Now this was a tastey dinner. 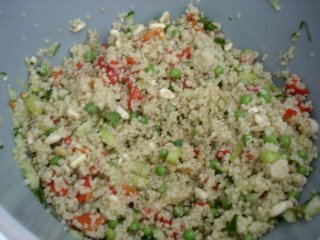 I made Dreena Burton's Quinoa Salad from Vive le Vegan and stuffed red peppers from Vegan with a Vengance. Both were delicious. I was especially impressed with the peppers which were fantastic. It was so hot yesterday that I wrapped them in tin foil and did them on the bbq rather than putting them on the oven. They were delicious this way. The combination of black beans, quinoa, mushrooms, chile powder and garlic was fantastic - and no cumin!! Yay! Funny, I was having this talk with a girlfriend yesterday about how she hates cilantro and I love it and how I hate cumin and she loves it. Taste really varies from person to person. I am glad I gave Quinoa a second chance because I had made it before and really felt that I didn't like it. Let's face it, made plain without seasonings it is pretty unimpressive. Yesterday I really enjoyed it in the salad. Also, I made a nice breakfast cereal for myself yesterday with the quinoa. It was so hot here I actually had it cold and really enjoyed it. I added frozen raspberries, pecans, a touch of maple syrup and cinnamon and a little bit of silk soy milk. I should have taken a picture. This actually satisfied my craving for a brown rice pudding recipe for breakfast. Perhaps I will have it again this morning and take a picture this time. Great idea of doing the peppers on the BBQ. I'll have to remember that. It has been wicked hot. I've had enough now. Let's go back to 15 degrees please. Did you hear about those crazy freakish thunderstorms north of TO. Scary! Thanks! Yes, they turned out fabulous on the bbq. The heat/humidity seems to have cleared here this morning. Hope you are cooling down too. Delicious look stuff here! 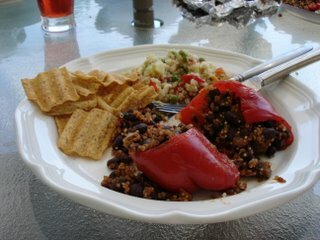 I really want to make the stuffed pepper recipe this summer when I come afford gigantic organic red bell peppers - yum. Thanks Jess! They were really good. I always love stuffed peppers. Hope you enjoy them when you make them. 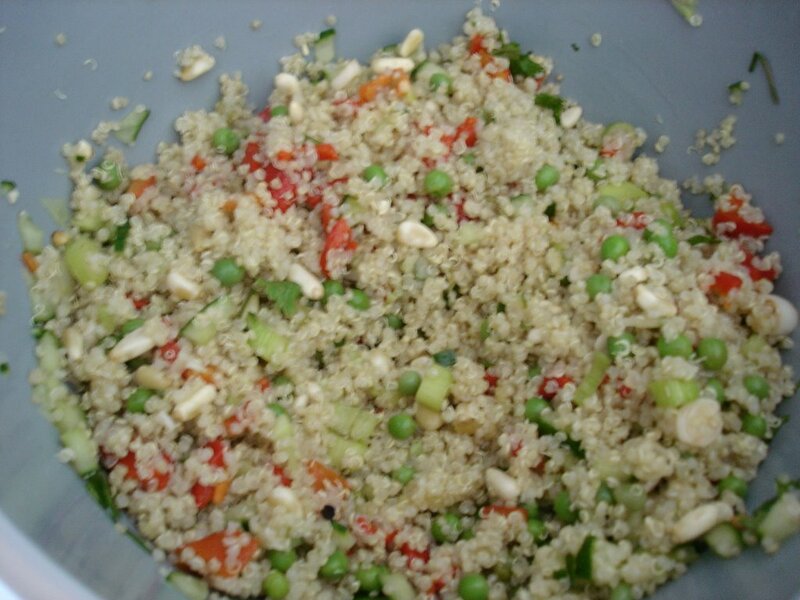 quinoa is sooo good...definatly my favorite grain. I'm making stuffed cabbage tonight and I may use some in the filling. Those peppers look beautiful and delicious!